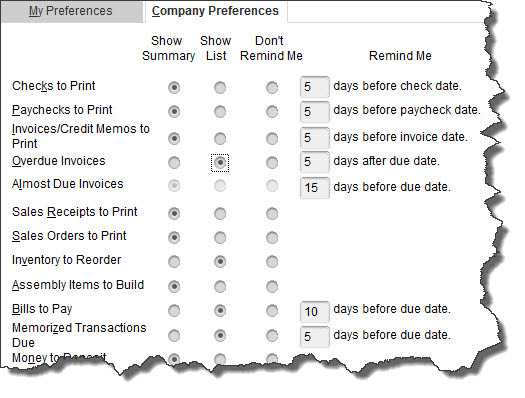 Preserve your relationships with customers, vendors, and others by setting up reminders in QuickBooks. How many calendars do you maintain? Many business people have more than one. Maybe you use a web-based or desktop application like Google Calendar or Outlook for meetings, task deadlines, travel dates, etc. 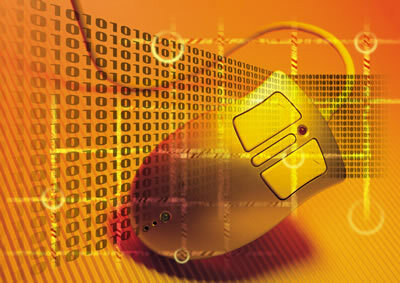 Your Customer Relationship Manager (CRM) might have another. Perhaps you still have a paper calendar as a backup. Getting a Head Start in QuickBooks lets you specify exactly when you want to receive reminders of upcoming activities. To set this up, open the Edit menu, then click Preferences, and then Reminders | Company Preferences. Making modifications in this window is easy. Just click on the appropriate circle next to each task to indicate your preference, and change any numbers in the Remind Me column to tell QuickBooks when it should start showing the reminder.